BREAKING NEWS: MAC Bulk Auction Sales Events offers remaining unsold Edgebrook Abbotsford Condos for Sale. Edgebrook Abbotsford Condo Promotion Extended! November 3, 2009 – The presale Abbotsford Edgebrook Condo Promotion of NET GST included is now being extended! We are pleased to announce that we have extended our 'Net GST Included' promotion at Edgebrook Abbotsford condos for sale until November 22nd! This adds up to big savings for you! Call us to find out how you can own your home at Edgebrook Abbotsford real estate development for as little as $164,900 and just 5% down! If you have any questions regarding financing here at the Edgebrook Condominiums, we would be pleased to assist you. Now's your chance - 75% SOLD! In 6 months, the presale Abbotsford Edgebrook condominiums has easily become Abbotsford real estate 's best selling development. We have approximately 20 remaining opportunties at unbelieveable prices. Last week alone, 11 suites were sold! Drop by our Presentation Centre for a tour of the recently completed building and our new show suites. Combine our central location (just 2 blocks from Sevenoaks and West Oaks Shopping Centres), a reputable developer, and quality finishings, you won't want to miss your chance to make Edgebrook your new Abbotsford condo home. Here is a sample of suites still available: Fraser Valley Real Estate Market Update - OCTOBER HOME SALES BRISK IN THE FRASER VALLEY. The Fraser Valley Real Estate Board (FVREB) announced today that real estate sales increased 122% in October 2009 compared to sales during the same month last year. “We’ve had a reversal...this past month was one of the strongest real estate markets we’ve had in the Fraser Valley real estate in the last decade,” said FVREB President, Paul Penner. “We continued to see resale buyers from Greater Vancouver and first-time buyers from all over the Lower Mainland taking advantage of competitive interest rates and lower prices in the Fraser Valley.” The Abbotsford Edgebrook Presentation Centre is located at 2943 Nelson Place (at George Ferguson Way) and is open from 12-5 daily (except Friday) or you can call us at 1-604-850-3395 for more information. Abbotsford Edgebrook Grand Opening BBQ - You're Invited! YOU'RE INVITED to the Grand Opening BBQ Celebration at the recently completed Abbotsford real estate development at the Edgebrook Condos for sale. Amacon is pleased to announce the completion of Edgebrook Abbotsford condominium homes! To celebrate, we're hosting a BBQ and you're invited! Drop by on Saturday, October 24th from 12 noon - 3pm for lunch and a tour of the building. We have lots to show you! As a special completion promotion here at the presale Edgebrook Abbotsford condos, we are including the net GST on all remaining suites (event weekend only). We have a selection of 1 bedroom, 1 bedroom & den, 2 bedroom, and 2 bedroom & den suites ready for immediate occupancy at unbelievable condominium prices! Come see the beautiful finishings and quality construction of the new Abbotsford Edgebrook condos first-hand! GRAND OPENING BBQ DETAILS: Where: Edgebrook Abbotsford Condos; Address: 2947 Nelson Place (@ George Ferguson Way), Abbotsford, BC; When: Saturday, October 24, 2009; Time: 12 noon - 3 pm; RSVP: REQUIRED to 1-604-850-3395 or edgebrook@macmarketingsolutions.com. *Please note that parking is limited. We encourage locals to walk or take public transportation if possible. **Family, friends, realtors and neighbours all welcome! The Edgebrook Abbotsford Condo Presentation Centre is located at 2947 Nelson Place (at George Ferguson Way) and is open from 12-5 daily (except Friday) or you can call us at 1-604-850-3395 for more information. A new Abbotsford real estate development by Amacon Developers is now reaching the public grand opening at the pre-sale Edgebrook Condominiums. These boutique residences at Edgebrook Abbotsford provide floorplans that range from one to three bedroom layouts and present spacious open concept modern urban living spaces designed for you in mind. Pure and simple, modern and elegant, the pre-construction Abbotsford Edgebrook Condos fors are brought to you by Amacon Homes. The location itself is unmatched by any other new development in the city. Centrally located in the heart of Fraser Valley real estate market, nestled in the shadow of majestic Mount Baker, the pre-construction Abbotsford Edgebrook condo’s location is perfect blend of modern urban style and unique country living next to the Horn Creek Park perfect for families and pets. Not only that, but condominium homebuyers here at the Edgebrook Abbotsford condos for sale will be next to East View Park, Century Park, Babich Park, Abbotsford Exhibition Centre, Ravine Park and Centennial Park – Mill Lake. As the city of Abbotsford grows, so does the long list of impressive shopping and boutiques, all within walking distance to the Edgebrook Abbotsford condominiums for sale. For families moving to Edgebrook Abbotsford condos, there are also top rated schools within minutes of your new home. Banks, grocers, shopping, dining and libraries are all within a short drive away from your new Abbotsford home for sale at The Edgebrook by Amacon. Purchase your new Abbotsford condo for sale at Edgebrook Condominiums today before the 12% BC HST tax is applied next July 2010! The New Abbotsford Condos at Edgebrook are Completing This Fall! August 18, 2009 - Greetings from the presales Abbotsford condo project at Edgebrook Development & Sales Team in Central Abbotsford real estate market! Sales have been brisk this summer and construction is progressing at full speed! Read on for details on this exciting development. Construction Update – The Edgebrook Abbotsford Condos Completing This Fall! We are pleased to report that construction is progressing quickly at Edgebrook Abbotsford condos for sale. New home-owners will begin moving in this Fall! If you currently own your home, our Fall completion provides you enough time to sell your existing home. And, the best part is that you can see the exact Edgebrook Abbotsford condo suite you will purchase! Drop by and feel free to ask any questions you have regarding financing requirements or purchasing details. Hot July Market! - Fraser Valley Sales up 62.3%! Fraser Valley saw the highest number of real estate transactions ever recorded for the month of July according to the August 5th press release issued by the Fraser Valley Real Estate Board (FVREB). July showed a 62.3% increase in Fraser Valley real estate sales compared to July 2008. "Low interest rates, home prices that are lower than last year by about 6%, and a surge of first-time home buyers... have created the right conditions for a 'move-up' market," said Paul Penner, President of the FVREB. REMINDER: Sunday Hard Hat Tours here at the presales Abbotsford Edgebrook condominium homes for sale. Hard hat tours of the Edgebrook condo building are now every Sunday afternoon. Drop by anytime on Sunday between 12pm and 5pm for a tour of this amazing new Abbotsford real estate development. You'll be delighted by the views and being able to see and touch your suite of interest! We'll provide the hard hats! Sales Office Parking at Edgebrook Abbotsford Condos - Due to construction, parking is limited near the sales office. If you require special assistance, please contact us beforehand. We apologize for any inconvenience in advance and thank you for your patience as we build Abbotsford real estate's best new condo development! The presales Abbotsford Edgebrook Condo Presentation Centre is located at 2947 Nelson Place (at George Ferguson Way) and is open from 12-5 daily (except Friday) or you can call us at 1-604-850-3395 for more information. Yours truly, Lisa - Edgebrook Sales Manager. Edgebrook Presentation Centre is located at #115 - 2947 Nelson Place (@ George Ferguson Way), Abbotsford, BC. Edgebrook Condominiums now 50% SOLD! 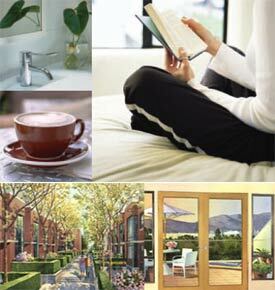 September 2009: The Edgebrook Abbotsford Condos for sale are now 50% Sold! Completing this Fall! Hurry In! Happy September! Things have been sizzling this summer at Edgebrook Abbotsford real estate development of affordable Abby condos! We have sold 40 Edgebrook condo homes since April, and many new home-owners will start moving in this Fall! Drop by and find out why we're Abbotsford real estate's best selling homes! The Edgebrook Condo presentation centre is Open This Long Weekend! Our Sales Office and Display Suite are open over the Labour Day long weekend (Sat, Sun & Mon from 12-5pm). Hard hat tours here at the new Abbotsford condos for sale are still conducted on Sundays from 12-5 if you want a full tour of the Edgebrook condo building! Fraser Valley Real Estate Market Update: Real Estate Sales Way Up! The Fraser Valley Real Estate Board (FVREB) credits ‘move-up’ buyers, first-time buyers and greater affordability for the second best August in the Fraser Valley real estate sales history, bolstered by a summer of historically low interest rates. August saw an increase of 96% compared to Fraser Valley real estate sales during the same month last year. Sales Office Parking here at The Edgebrook Abbotsford condos for sale. Due to construction, parking is limited near the Edgebrook condo sales office. If you require special assistance, please contact us beforehand. We apologize for any inconvenience in advance and thank you for your patience as we build Abbotsford real estate's best new condo development! Simple modern living spaces are what you can expect at the new Abbotsford condos for sale at The Edgebrook. Craftsman modern style architectural facade with lush green backdrop greets you home. According to their marketing website, the Edgebrook Abbotsford condominiums are nestled in a quiet community in the heart of the Fraser Valley real estate market and just fifty minutes from downtown Vancouver. A great blend of both modern luxurious and classic elegant style, the pre-construction Abbotsford Edgebrook condos are located in BC’s fifth largest city, and growing at a rapid rate as well. The conveniences of the large urban centres are here within walking distance from your new home at the Amacon Edgebrook condos and the country atmosphere and lifestyle is just steps away as well. Spend you days at the bristro or at the several shopping mall nearby, or you can hike, ski, bike or run around town. Just so many things to do with a short walking distance, the ideally situated Edgebrook Abbotsford condos for sale are certainly a hot item even in today’s downturn in the real estate market. The floor plans for Edgebrook condominiums have not yet been released and the interiors features list is also coming soon online. The Edgebrook Abbotsford Affordable Condos Now Selling! Located in the fifth largest city in BC, the Abbotsford Edgebrook condos for sale are primed for great appreciation and capital growth in the coming years. With this cosmo urban Abbotsford real estate development now upon us, the 73 boutique condos for sale are West Coast style residences that are located in a great neighbourhood. According to REIN, Abbotsford real estate ranks #3 on the best places to invest in property in the province. In addition, with a trusted developer in Amacon at the helm, the new Abbotsford condos at The Edgebrook will certainly come with the best level of finishes and craftsmanship a homebuyer would expect. The floor plans are truly open concept and functional and the bottom three floors will present nine foot high ceilngs while the top penthouse level of the Edgebrook Abbotsford condos will have twelve foot ceilings. From stainless steel to electric fireplaces and from wide plank laminate hardwood flooring to granite counters, every detail has been carefully planned and integrated into these new Abbotsford condos for sale. From ground floor patios to upper floor balconies and terraces, the new Abbotsford Edgebrook apartments certainly deliver from the standpoint of outdoor entertainment space and with incredible views of the Fraser Valley and river as well. Close to the Abbotsford International Airport as well as all the local services, shopping and conveniences, the neighbourhood of the Edgebrook condos is a great place to live and work. The Horn Creek Trail and it’s 1.2km walking and running paths are also connected to the Discovery Trail, where residents here at The Edgebrook Abbotsford condominiums can enjoy year round with their famlies and children. There is also a limited cash back incentive upon closing on a new Abbotsford condo for sale here and with low mortgage rates, you can definitely own for less than rent here in this beautiful new development. The expected completion for the Abbotsford Edgebrook apartments is later in the fall and construction is proceeding on schedule. Edgebrook Abbotsford Condos Grand Opening Celebration! April 21, 2009 - Thank you for your registration with Edgebrook in Central Abbotsford real estate market. Grand Opening with Mayor George Peary! Join us on Saturday, April 25th at 1pm for the Grand Opening of Edgebrook Abbotsford condos for sale! Mayor George Peary will be there to help with the ceremonial ribbon cutting. There will be refreshments and tours of the newly completed Edgebrook Abbotsford condo display suite. Quality Abbotsford Homes for sale with Brand New Prices! Have you heard the news yet? Abbotsford Edgebrook real estate condo development is one of four projects in Greater Vancouver and the Fraser Valley now offered as part of the MAC Bulk program. Amacon is truly excited about participating in this initiative to kick-off the sale of suites at Abbotsford Edgebrook condos at massive discounts. 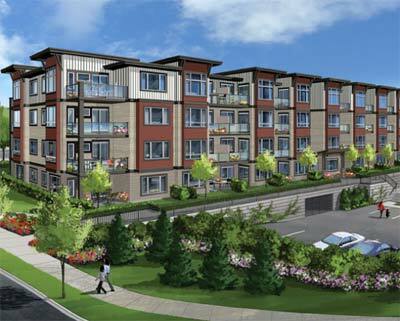 The pre-construction Abbotsford Edgebrook apartment condo prices start at an incredible $159,900. We will commence public sales on Saturday, April 25. Visit us prior to this date to choose your favourite Edgebrook Abbotsford condominium suite(s) and to find out more about the amazing new prices. 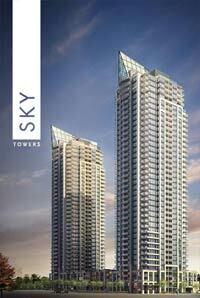 One bedroom suites start at $159,900, 2 bedroom suites start at $199,900 and 3 bedroom suites at $264,900. Abbotsford Apartment Luxury Finishings. Quality Construction. Standard finishings and features include: two designer schemes to choose from (almond or walnut), stainless steel Whirlpool appliance package in all Edgebrook Abbotsford apartments for sale, granite kitchen countertops, hardwood style laminate flooring, 9' ceilings (with 12' vaulted ceilings on the 4th floor), quality construction by Amacon develop, backed by 2-5-10 year warranty and parking included for all home purchasers at the new Abbotsford condos at The Edgebrook real estate development. The Edgebrook Abbotsford Apartment Presentation Centre and fully furnished Display Suite are now open daily (except Friday) from 12-5pm at 2947 Nelson Place (at George Ferguson Way.) Call for an appointment by calling 1-604-633-9988 today! Yours truly, Lisa - Edgebrook Sales Manager. Edgebrook Presentation Centre at #115 - 2947 Nelson Place (@ George Ferguson Way), Abbotsford, BC | email: edgebrook@macmarketingsolutions.com | web: www.liveedgebrook.com & www.macbulk.com. MAC Bulk Condo Sales: Edgebrook in Abbotsford Real Estate Development Update! Did you read the Vancouver Sun on Saturday? Edgebrook Abbotsford condominium homes made the front cover of the Westcoast Homes section! If you missed the article, read about all the exciting news on our prices, finishings and other Abbotsford real estate development MAC Bulk details here on Vancouver real estate direct. Grand Opening MAC Bulk Condo Event On Now! We were very pleased to have Mayor George Peary (3rd from right) attend our ribbon cutting ceremony for the new Edgebrook Abbotsford real estate property! Mayor Peary stayed for a tour of our gorgeous display suite and Abbotsford Edgebrook condo building. “It was a pleasure to be part of the grand opening at Edgebrook with Amacon,” said Mayor Peary. “This high quality residential development in Central Abbotsford reflects a great opportunity to purchase an affordable home with today’s very low interest rates.” Edgebrook Abbotsford Condos Sale on Now! Own for $399/month! Come by to check out our discounted MAC Bulk prices and our new promotion, making ownership at the new Abbotsford real estate development of Edgebrook MAC Bulk Condos for sale even more affordable! Own a 1 bedroom & den from $399*/month or Own a 2 bedroom Edgebrook MAC Bulk Abbotsford condo from $499*/month or even Own a 3 bedroom new Abbotsford condo for sale from $660*/month! We are confident that you will agree that Edgebrook Abbotsford real esate development is the best choice in Abbotsford property market today! Come see the Edgebrook Abbotsford condos for sale high-end quality finishings, (available in your choice of two designer colour schemes), open floor plan designs, nine foot ceilings (with 12' vaults on top floor) and spectacular mountain views! Proudly developed by Amacon, Abbotsford Edgebrook condos for sale is an exceptional four storey Abbotsford real estate development consisting of 73 condominium homes ranging from 636-1198 square feet. Edgebrook’s location is accessible and convenient, just steps to shopping at Seven Oaks Mall and minutes away from the Trans Canada Highway, The University of the Fraser Valley, parks, schools, recreation and much more! Visit us today! The Edgebrook Condos Presentation Centre is located at 2947 Nelson Place, Abbotsford real estate market (at George Ferguson Way) and is open from 12-5 daily (except Friday) or you can call us at 604-633-9988 for more information. The Abbotsford Edgebrook Condominiums Are Now Selling Fast! Upscale and urban contemporary, this collection of boutique Abbotsford condos for sale boasts a blend of easy going West Coast style and crisp modern architecture and detailing. Backing onto Horn Creek Park, the presale Abbotsford Edgebrook condos for sale are one of very few opportunities for first time homebuyers to get into the new real estate development at an affordable price of as little as $399 per month thanks to the special mortgage buy down program now offered at the new Edgebrook Abbotsford condo development. Prices for these new Abbotsford condominiums start from an incredible $159,900 with floor plans that range from one to three bedroom layouts. The presentation centre and Edgebrook display home are now open noon to 5pm except Fridays at 2937 Nelson Place, Abbotsford real estate market. For more information, please visit www.liveatedgebrook.com or call 604.850.3395 today. With upscale and contemporary new Abbotsford homes for sale right now at the Edgebrook Condos, you really can’t go wrong with amazing deals and low interest rates. Designed for the urban folk looking to create life experiences in spacious floor plans, ultimate finishing and west coast craftsman architecture, the presale abbotsford condos at the Edgebrook are now selling with montly payments just under $400 utilizing the mortgage pay back special right now. With square edged granite counters, stainless steel appliances, cozy electric fireplaces, laminate flooring with wide plank and also spacious living areas, these are clearly the best new Abbotsford homes for sale. In addition, the pre-sale Abbotsford Edgebrook condos will provide a decent amount of outdoor living space in terms of balconies and decks/patios in addition to great views too. Within walking distance to Seven Oaks Shopping Mall and the Real Canadian Superstore, all conveniences and amenities are within a short walk or drive away, making these Edgebrook Abbotsford homes for sale an ideal place to call home. 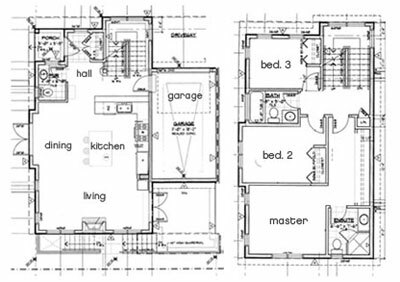 Floor plans at the Edgebrook Abbotsford condos will range from just under 700 square feeet to almost 1200 sq ft in size. Located in central Abbotsford real estat market, the Edgebrook condominium grand opening event is happening right now and is being offered through MAC Marketing Solutions, MacBulk event. The pre-sale Abbotsford condos at the Edgebrook are brought to the market by Amacon home builders. Construction Update at this new Abbotsord real estate development. Seeing is believing! We are proud and delighted to report that construction on Edgebrook Abbostford condos for sale remains in full swing this summer! We have estimated completion in only four short months! If you have a home to sell, this is a perfect amount of time to sell before moving into your brand new home at the pre-sale Abbotsford Edgebrook condominium homes! 11 Proud New Edgebrook Owners in 11 Days! We are extremely proud to welcome 11 new homeowners at Edgebrook Abby condos for sale since June 1st! Suites are selling quickly, so do come in soon for the best selection of your preferred size and suite style! The Edgebrook Condos Presentation Centre is located at 2947 Nelson Place (at George Ferguson Way) and is open from 12-5 daily (except Friday) or you can call us at 1- 604-850-3395 for more information. June 15th - Cut-off for Customizations here at the Abbotsford Edgebrook condos for sale! If you have been waiting to secure your suite at Edgebrook condo real estate development, now is the best time! Until Monday you still have your choice of colour scheme - Walnut or Almond. You also can make some home customizations until Monday only! Sunday Hard Hat Tours at the Edgebrook Condos in Abbotsford property market - Hard hat tours of the building are now every Sunday afternoon. Drop by anytime on Sunday between 12pm & 5pm for a tour of this amazing Abbotsford real estate development. You'll be delighted by the views and being able to see and touch your suite of interest! We'll provide the hard hats! Just 5% Down! With just 5% down (with CHMC approval) you can own at Edgebrook condominiums. Through to the end of the summer, we are offering our rebates to make your monthly mortgage payment for two full years very affordable! Monthly payments start from just $399/month. We also are working with TD representative who can work with you for the best interest rates today! Please speak to us for more details. In the News (again!) We are pleased to report that the Vancouver New Home Buyers Guide featured Edgebrook Abbotsford condos in their current June 2009 issue. The publication was very impressed with the quality of the finishings, the amazing prices, as well as the ideal Abbotsford location - steps to Seven Oaks Shopping Centre, as well as Horn Creek Park and many other amenities, shops, services and recreation. With some surprises and others not so much, the Real Estate Investment Network of Canada released their BC Top 10 Growth Cities in the province for the next years. As Don Campbell advises, these are great times to purchase BC real estate, especially with the low interest rates that are likely moving up as well as dropping prices. Don Campbell mentions that it is too difficult for homebuyers these days to predict the bottom, and in many cases, miss out on great BC real estate deals by just waiting for a larger drop in prices. More factors should weight in on your final decision, and interest rates are definitely at the top of the list right now. This survey had to depend heavily on the different expectations homebuyers have as well as their perception of what the economy is like. In addition, the smaller cities mentioned in the BC Top 10 Growth Towns for real estate investment are considered less liquid as it would probably be more volatile and may take longer to sell with a smaller population base looking for property. Don Campbell mentions that BC real estate investing is not a short-term investment, it should be a long-term investment of at least five to nine years. The study used twelve economic fundamentals to rate the top 10 BC growth cities for real estate investing from economic development to demographis. By purchasing any type of BC real estate, Don Campbell advises you to do your due diligence and check out the economic fundamentals of the top 10 growth cities in BC before making any purchase decision. #1 - Surrey is the best place to invest in BC real estate according to the survey. With rapid population growth coupled with growth in economy, business and industry, Surrey tops the list for the Top 10 BC Growth Cities this year. In addition, Surrey is close to major transportation routes and has a higher renter population than most other BC Towns. #2 - Maple Ridge and Pitt Meadows makes the top 2 for Top 10 BC real estate growth cities as mentioned in the survey. With major transportation routes finishing in the next few years at Gateway and TransLink, community to and from Maple Ridge and Pitt Meadows will be awesome. #3 - Abbotsford makes the top 3. The perennial top growth city in BC is consistently up here becuase of its rapid population growth coupled with high growth areas in industry, business and retail. A diversied economy, making it one of the BC Top 10 real estate growth cities. #4 - Kamloops is the first non-GVRD city to make the Top 10 BC real estate growth cities this year. As both a transportation and a vacation destination, there is new industry and business enterting Kamloops in the Okanagan. Housing starts have rapidly declined and led to all time low vacancy rates which will not get any better. #5 - Dawson Creek and Fort St. John - With BC oil and gas exploration just starting, these two industries will have a profound influence on where property prices go in the great white north. Just like Alberta, the natural gas resources are phenomenal around Dawson's Creek and St. John has more oil and gas drivers that will ultimately raise the real estate values. However, the property values are very dependent on these commodities and will fluctuate wildly during energy demand cycles. However, Dawson Creek and Fort St. John make it to the Real Estate Investment Network BC Top 10 Growth Cities. #6 - Kelowna - another Okanagan vacation hot spot, Kelowna makes it onto the Top 10 BC real estate growth cities with a trading area servicing more than four hundred and fifty thousand people. It is a recreationl and business capital in this region with rental revenues one of the hightest in the country. #7 - Comox Valley - This is where the armed forces are stationed and with proven economic stability and an airport that services both major cities in Canada, the Comox Valley makes it to the Top 10 BC real estate growth cities in the survey by the Real Estate Investment Network. However, the slowing real estate market means that rental rates have not increased as much as other growth cities, making positive cashflow in your first years quite difficult to attain in the Comox Valley real estate market. #8 - Penticton - Another Okanagan city makes it to the BC Top 10 Real Estate List with both agriculture and tourism pushing the housing values up. Strong population growth and not much construction activity have limited the number of rentable homes, making rental rates skyrocket. #9 - Vancouver - Yes, what is a list of the Top 10 BC real estate growth cities without the largest city of them all? The olympics will certainly put Vancouver on the world map again, but with rising inventory and lots of speculators investing in real estate, property prices may not climb as quickly as one may think. With Vancouver, it has a stable economy and growing population, and once construction dies down, there may be another rental housing shortage which will push rates and housing value up. #10 - Prince George - Diversity in economy and a growing population are just some reasons why Prince George make it to the Top 10 BC real estate growth cities. Here, there are also rail links with Prince Rupert, which makes it less isolated than before. Buying a Investing in a Surrey Condo? Great Choice! As published earlier by the Real Estate Investment Network, in a recent survey, it turns out that Surrey real estate and growth potential is #1 in BC! And shortly after, the Metro New Vancouver newspaper published this article that explains why: Sweet for Suites in Surrey real estate market by Sam S for Metro Vancouver. Surrey real estate condos is turning into one suite place according to this newest BC real estate survey by the REIN Network. According to a report released yesterday, B.C. 's fastest growing city is a home buyer's dream. "It's such a large area that it has every type of housing, and every demographic," said REIN presidnet, Don Campbell. "As a homeowner or an investor [in Surrey real estate market], there's a plethora or choices available." Between the years 2006 - 2008, Surrey real estate reported an increase in resdiential construction spending of more than $193 million to just more than $1 billion, making it the top in BC. And despite rising gang activity in the area, Campbell said he believes investments in Surrey condos and other housing types are safe choices. "We're looking out five to seven years, (gang) problems are one of those short term issues that will get cleaned up," he said. Projects in that time period include the four lane South Fraser Permieter Road coming from Delta and the new Gold Ears Bridge in Langley. According to Don Campbell, this will help unclog the Port Mann Bridge, allowing Surrey to be more accessible. Therefore, the BC Top real estate investments are in Surrey. Vancouver Kitsilano Real Estate Market presents the New Kits Viridian Green Condos - Located at the Corner of 4th Avenue & Collingwood in Kitsilano! 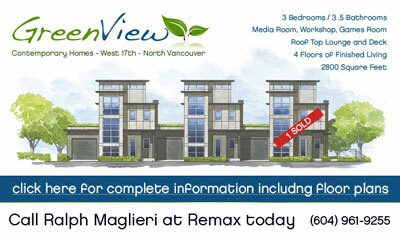 Prices Reduced on all remaining Westside Vancouver Kits Condos at Viridian Green - Only 8 Remain! We are excited to announce that pricing on the 8 remaining presale Vancouver Viridian Green Kits homes for sale have been reduced to 2006 levels! Our concrete and steel 3 bedroom Kitsilano townhomes, designed by the international award winning BBA Design, begin at only $730,000! 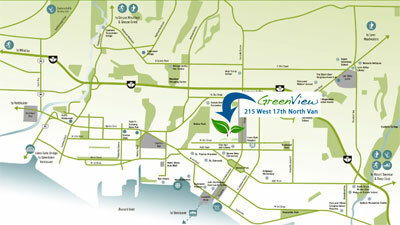 Our spectacular Viridian Green Kits Condo show suite is open from 1 to 5 pm Saturdays and Sundays. IT'S ALL ABOUT LOCATION: Kitsilano, Kitsilano, Kitsilano in the west side of Vancouver real estate market. Enjoy the convenience of having a gourmet grocer, delicatessen, pharmacy and other neighbourhood amenities – all on the Viridian Green Kits Townhome Vancouver retail level as well as all the other shops and services up and down Fourth Avenue in Vancouver's westside real estate market. Well Tailored Details at Viridian Green Townhouses include everything from Miele, Jenn-Air and Panasonic stainless steel appliances, stone counters throughout and blumotion silent self-operating cabinet door and drawer hardware. In addition, the pre-sale Kitsilano Vancouver townhouses at Viridian Green real estate development will include 2 parking stalls for every home, a private storage room for every home, babulous views of the mountains, park, or leafy green vistas. There is abundant and truly functional outdoor space, hose bibs and gas hook-ups on outdoor spaces and energy efficient heat recapture to preheat water standard in every new Westside Vancouver townhouse at Viridian Green Kits project too. If you are a serious homebuyer, here is What to Do: 1. Please explore your options by examining the Viridian Green Townhome Kits Vancouver floorplans online at their marketing web site. 2. Come to see us this Saturday and Sunday to SEE, TOUCH AND FEEL the details at our Viridian Green Kitsilano Townhome showhome located on site at the NW corner of 4th Avenue and Collingwood Street or call us to set up a “custom fitting” for another time. 3. This is your opportunity to purchase a ground level Vancouver Westside property for sale, so don't forget to bring your cheque book! Deposit required is 5% of the total purchase price within 7 days of acceptance. Warm regards, Ken - RE/MAX, Mary - RE/MAX and Sam - RE/MAX Real Estate Services. If you haven’t heard already, there is a new luxury Kitsilano condominium development at the Vancouver Viridian Green condo building launching this spring. 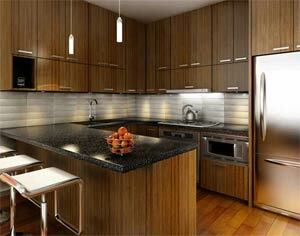 Luxury, Built GREEN Kits condos for sale are about both substance and style. Featuring gourmet kitchens, luxurious bathrooms and impeccable interiors, these pre-sale Vancouver Viridian Green townhomes are concrete, glass and steel construction and have smart interiors. An ideal location at the corner of 4th Avenue and Collingwood Street Vancouver, the pre-sale Kitsilano Viridian Green townhomes for sale are close to everything that you have accustomed to loving here in the Kits lifestyle: beaches, shopping, dining, conveniences, banks, libraries, recreational pursuits and of course a close proximity to downtown Vancouver. Some of the interiors standard features here are simply outstanding at the Vancouver Viridian Green townhomes in Kits real estate market and include Miele, Jenn-Air appliances, great views, high-technology and well designed layouts. Funtional and open concept, these pre-construction Kitsilano townhomes at Viridian Green condominiums simply are unsurpassed in terms of luxury features and detailing in the Kits real estate market. If you come check them out, you will definitely fall in love with these luxury Kits townhomes for sale. 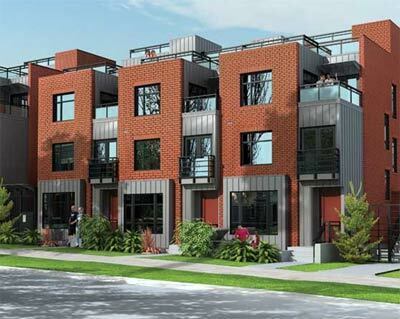 With only twenty two Viridian Green Kits townhouses for sale, they will sell out quickly. Priced affordability for a great location with amazing views and just steps away from the water, the Kitsilano Viridian Green real estate development is simply the best community. Located north of 4th Ave in one of the most coveted neighbourhoods of Vancouver, the Kitsilano real estate market is full of multi-million dollar homes, townhomes and duplexes. However, you can now get into a luxurious Kits townhome for sale here at the Vancouver Viridian Green property where you will have urban streetscapes, plenty of green spaces and urban parks surrounding you at every block. Plus you are just steps away from all the urban amenities that you need to get to on a daily basis. What better life can you ask for? The Viridian Green Kits townhouses are simply the best in the market. These BuiltGREEN townhomes at the Kits Viridian Green development can be LEED certified for being so environmentally sensitive in design and construction. The new Vancouver townhomes here are built of steel, brick and concrete and feature energy efficiency like no other development in the Kitsilano market. In addition, the presale Vancouver Viridian Green townhomes will feature verdant courtyards an extra storage and parking space for residents in addition to quarry tiled expansive decks in which residents can enjoy all year round outdoor entertainment space. In terms of the interiors, the Kits townhomes for sale feature custom staircases and have designer appointed gourmet kitchens with the latest in stainless steel appliances and granite surfacaes. The pre-construction Viridian Green townhomes for sale are BuiltGREEN and LEED Certified meaning that they are built with the best materials around for low maintenance living. In addition, all of these new Kits homes for sale have above street level access and feature stunning views and boutique style bathrooms. Right now, this Kitsilano real estate development features only a few townhomes left during presales. Well designed and constructed, these Built Green Vancouver townhomes at Viridian Green is by a master developer, an acclaimed architect and respected interior designer finished by a quality builder. Every element of the interior and exterior of the presale Vancouver Kits Viridian Green townhomes for sale are absolutely perfect. From the kitchen cabinetry to the appliances and fixtures and from the fully featured bathrooms to the open concept floorplans, these Vancouver Viridian Green Kits townhomes for sale are definitely a place to relax, work, and hang out for decades to come. Unit A floor plan at Viridian Green Kitsilano features three bedrooms plus den and they are between 1442 and 1470 square feet in size (Suites 212 to 214) with three storey living and roof top deck in addition to massive pantry space and huge walk in closet for the master bedroom. In addition, the similar Unit C floorplan at Viridian Green Kitsilano townhomes for sale feature 3 bed + and are between 1436 and 1439 square feet in living area. The pre-sale Kitsilano Viridian Green Kits townhouses for sale feature Suites 220 – 222 which is Unit D floor plan and is 3 bed plus den and 1516 to 1546 square feet over four floors, patio, roof deck off master bedroom, large ensuite and facing east. The Unit F Viridian Green floorplans in the Kits real estate market in Vancouver features three bedrooms plus and is a spacious 1251 square feet facing south and north into the central courtyard. The last of the available pre-sale Kitsilano Viridian Green Vancouver Kits townhomes for sale is Unit G which is 1163 square feet and three bedrooms as well. Of concrete, steel and glass construction, the sound proofing between these pre-sale new Kitsilano townhomes for sale is impeccable. Smart and timeless, environmentally friendly and offering perfect views, you won’t want to live anywhere else than the new Kitsilano townhomes at Viridian Green Vancouver real estate development. 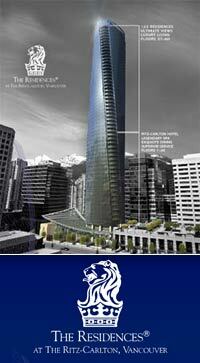 The Kits real estate development team features Larc Developments Ltc, W.T. Leung Architects, BBA Design Consultants and Cape Construction. 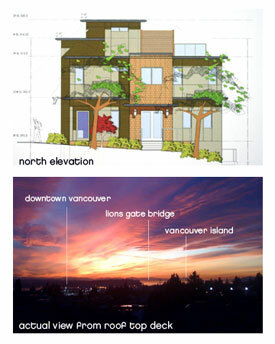 If you would like more information, please visit the Kitsilano Viridian Green website at www.viridiangreen.ca today. Just north of 4th Avenue in the North Kitsilano real estate district, the Vancouver Viridian Green townhomes is in the city’s oldest and most prestigious residential neighbourhoods. Close by are tennis courts, the parks, beach, Royal Vancouver Yacht Club, Jericho Sailing Club and the Tennis Centre. Or, enjoy walking to the grocers, delis, banks, and coffee bistros or even shop at the ground floor retail at Viridian Green BuiltGREEN townhomes for sale in Vancouver’s Kits real estate district. Just minutes from downtown Vancouver or UBC or Richmond, these family and executive townhouses for sale are a perfect fit for any couple, family or retiree. 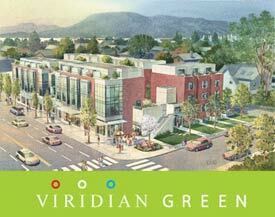 New Kitsilano Viridian Green Condos for SAle - DISPLAY HOME OPENING!! Viridian Green - Display Home is Open!!! March 5, 2009 - The time has come! We are excited to announce that the Kitsilano Vancouver Viridian Green condo display home designed by the international award winning design team of BBA is ready for previews. Be the first to see this spectacular suite from 1 to 5 pm this Saturday and Sunday, March 7th & 8th. 1. Please explore your options by examining the floorplans at the following link. 2. Come to see us this Saturday and Sunday to SEE, TOUCH AND FEEL the details at our display home at Viridian Green Kits condos for sale located on site at the NW corner of 4th Avenue and Collingwood Street Vancouver or call/email us to set up a “custom fitting” for another time. 3. This is your opportunity to purchase a spectacular BuiltGREEN Viridian Green Kits condo for sale, so don't forget to bring your cheque book! Deposit required is 10% of the total purchase price within 7 days of acceptance. 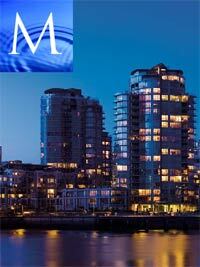 Kitsilano homes will be sold on a first come, first served basis. Pricing starts in the high $700's. New heritage half and front duplexes in Vancovuer real estate market in addition to garden townhome and coach house presents first class finishing throughout and a gateway to Vancouver’s most exciting playground: walk to Kits beach, Park, Tennis, Pool, West Fourth Shops and Eateries; Yet just minutes away from the downtown Vancouver real estate district. 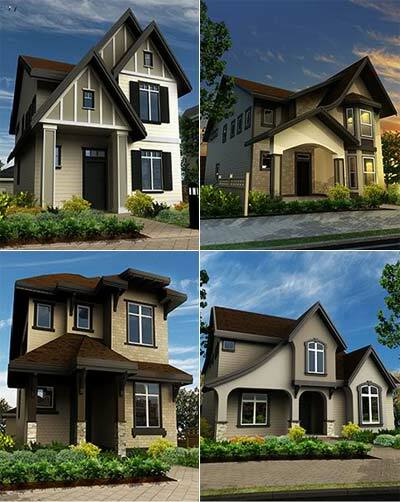 These new Kits homes for sale are cleverly designed to incorporate the original heritage feeling of yesteryear with today’s most desired features while showing off Vancouver’s water, city and mountain views. 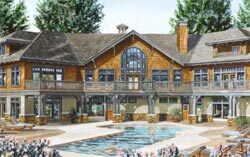 State of the art geothermal heating and cooling, stainless steel appliances and solid hardwood flooring make these new Kits homes for sale absolutely fabulous. In addition, these new Kits homes for sale will feature limestone porcelain and mosaic tiling, travertine marbel and radiant heat. Also, these new Kitsilano Vancouver homes for sale will have a 2-5-10 warranty. Quality Kits homes for sale with a lifestyle location that will make you never wish to move again. These Kits Homes start from $629,000 to $1,349,000. Located at 1609, 1629, 1638 Larch Street and 2504 York Avenue Vancouver, BC.